This morning, very early in the morning (4AM), I got up, showered, got dressed and ready for a fun-and-fabulous shoot with one of my FAVORITE LA Morning News DIVA'S...yes, the one and only MISS Gayle Anderson of KTLA-TV Channel 5! 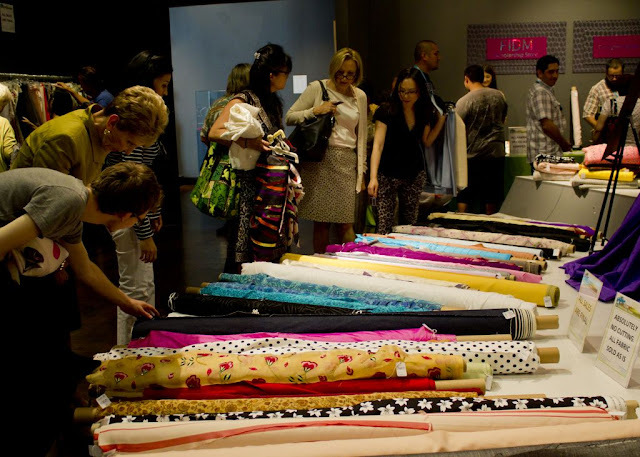 Well, I got it: The Fashion Institute of Design and Merchandising/FIDM was having a ONE-OF-A-KIND Fabric Sale beginning today and I wanted Gayle to know about it...and all her MILLIONS of KTLA viewers of course! 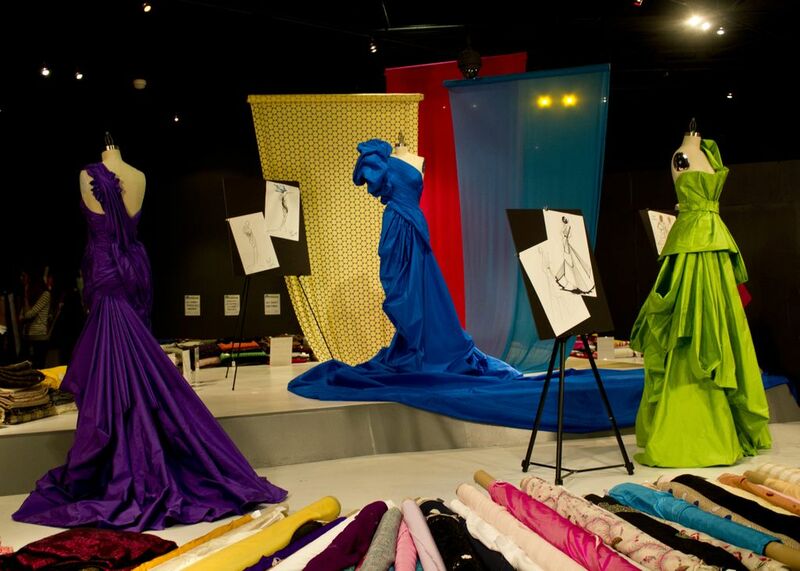 Here's the DISH: Noted Southern California Couturier Nora Martin who had an exclusive Atelier on Sunset Blvd originally and then subsequently moved to Palm Springs, was retiring and wanted to DONATE 2,000 yards+ of her Haute Couture-quality fabrics to FIDM. 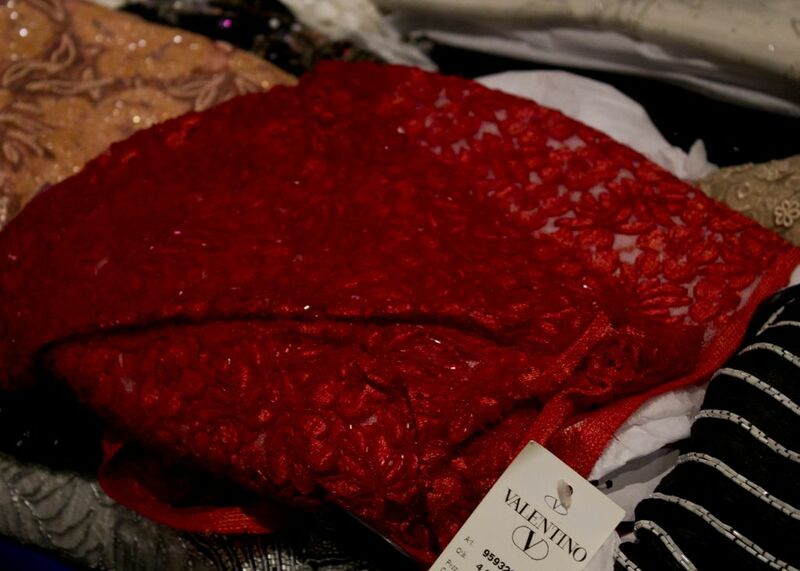 This includes brocades, silks from Gandini, wools, boucles and tweeds (above photo) , crepes and appliques from Valentino, flower prints from Emanual Ungaro, Versace, Leonard, hand-beaded sequins fabrics that would normally retail for up to $600 a YARD...are now ON SALE at the FIDM Museum for THIS WEEK ONLY and are a FRACTION of their original prices! I almost DIED and went to FABRIC Heaven when I got to preview the fabrics! 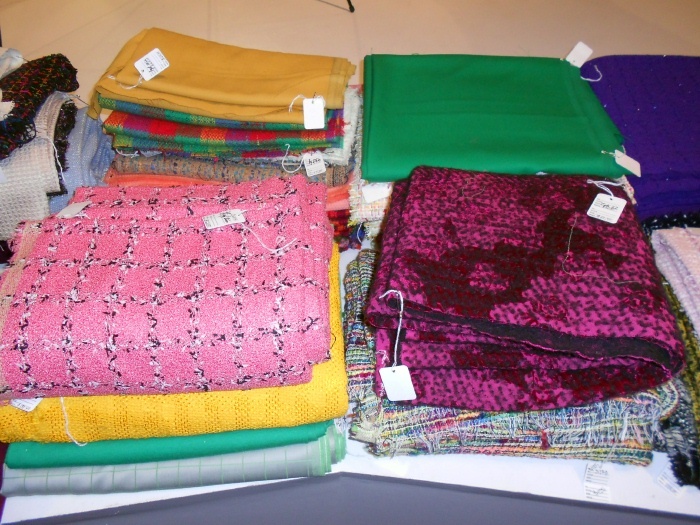 I think I literally created my next NIKOLAKI Collection from half a dozen fabrics that were there! 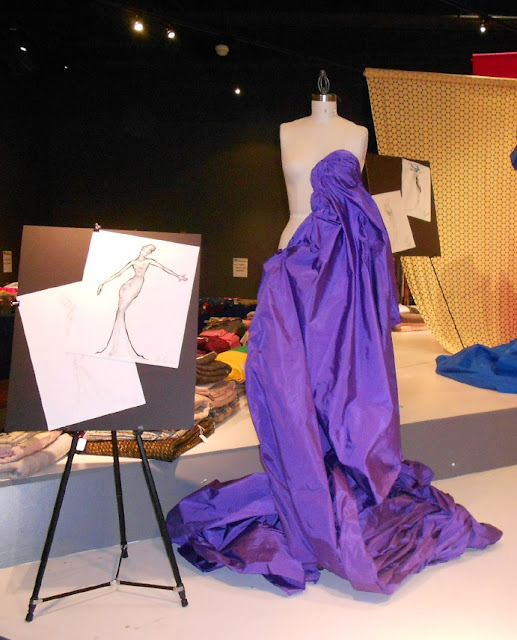 Alicia Czerwiec, who was inspired by this violet-colored silk taffeta and draped a gorgeous gown. Angela Avanesyan, a former student of mine(!) 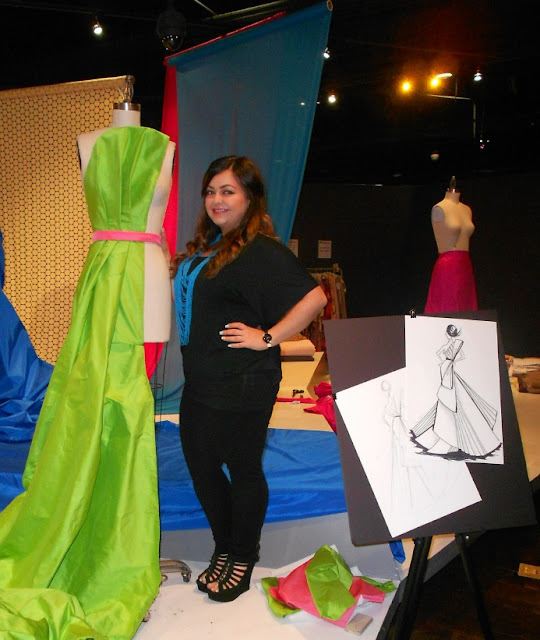 from the FIDM Debut Advanced Fashion Design Program who has her own line now, utilized this apple green silk taffeta to drape a fan-pleated concoction worthy of a Paris Haute Couture Runway! 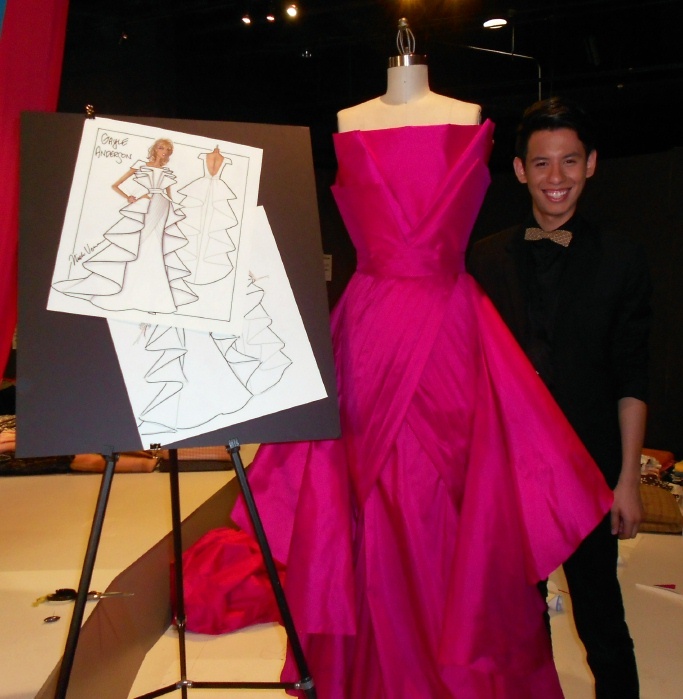 And finally, Paul Hernandez, who graduated last year from the FIDM Advanced Fashion Design program/Debut and is a Master draper/Diva as well. I did an original sketch for Gayle Anderson (above) and Paul brought it to life--right then and there--while KTLA's camera's were filming! 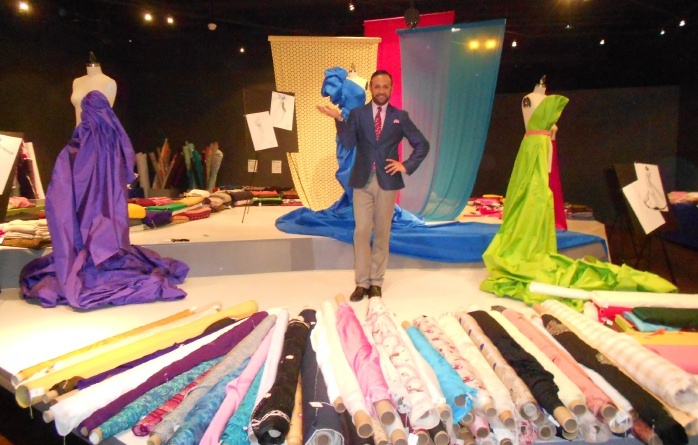 They all did an amazing job draping and being inspired by the fabric--and on cue--LIVE--in front of millions of viewers--watching Gayle and KTLA! Kudos to them. 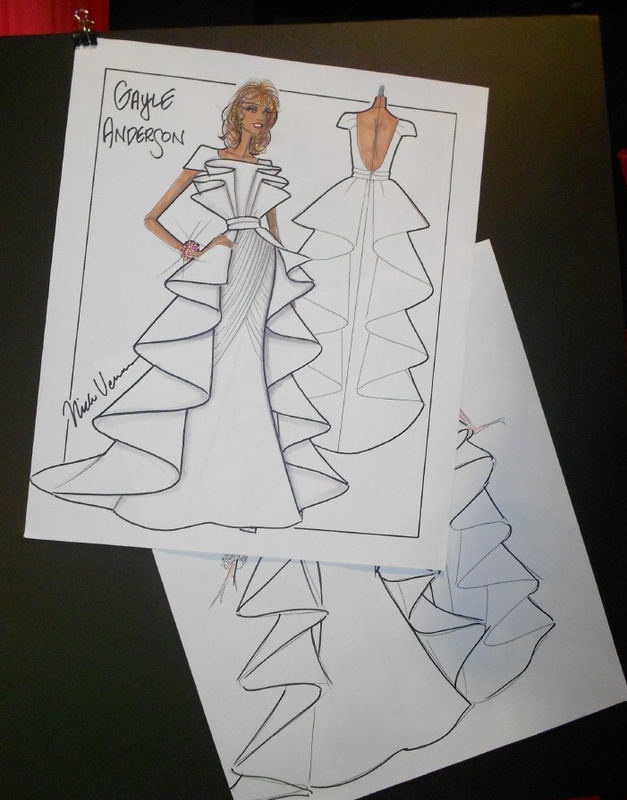 I gave Gayle my original fashion illustration of her in my "Fantasy Red Carpet Gown" design. 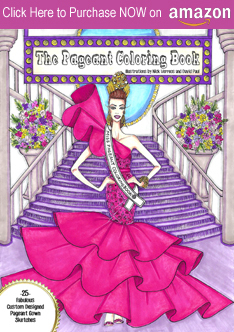 The actual gown? Well, all she has to do is call me and we can "Make it Work"! 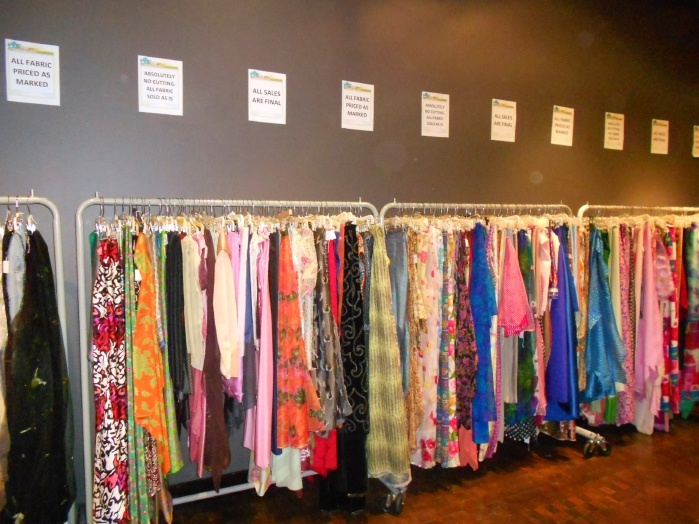 Here are the Details of the Designer Fabric Sale that Started TODAY!!!! You better go to FIDM ASAP before I buy ALL the Couture fabrics! WHEN: Sale began TODAY at noon--and continues through Friday, May 25th (or while supplies last!) 10am-7pm. 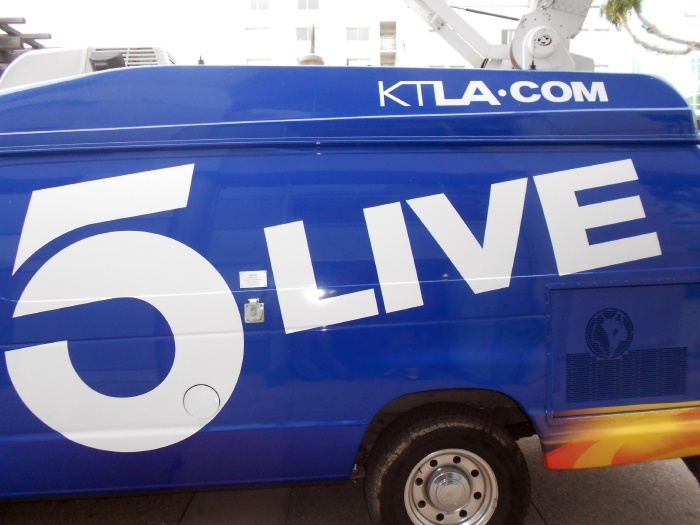 In case you were not up early this morning to watch our KTLA-5 TV Morning News Segments--Click HERE to watch them!!!! 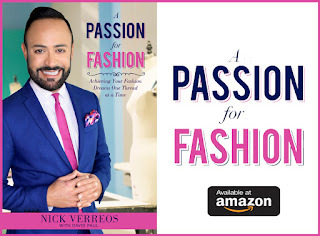 1 Response to "FIDM.....Nick Verreos, KTLA-5 Gayle Anderson FIDM Designer Fabric Sale"
i thought for once that was Donna Summer in the first pic.